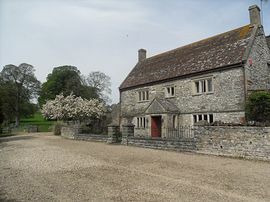 Church Farm is an 18th century grade II listed farmhouse, which was once part of the Earl of Warwick Estate. Part of it dates back to the 13th century and is full of character with old beams and log fires. 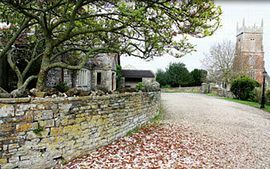 A working livestock farm, we are set in a quiet location in the village of Clutton half a mile from the A37. We have three rooms, two with king size beds, the third having twin beds, which can be zip linked into an impressive super king. All rooms are comfortably furnished with en-suite facilities (shower), a TV-DVD and refreshment tray. Access for two of the rooms is via a separate staircase both of which have WiFi. 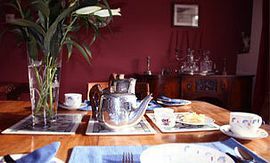 A full English breakfast is served in the dining room with locally sourced produce and eggs from our free range hens. We are ideally situated to visit many local attractions this area has to offer, including Bristol with its maritime history, Baths Georgian architecture and iconic attractions and also Wells, the smallest city in England, with its magnificent medieval cathedral. The Mendip Hills, a designated Area of Outstanding Natural Beauty, are just a short drive away. Ideally situated between Bristol, Bath and Wells. Set in a quiet location. Special Diets Provision: Special diets are catered for. Special dietary requirements catered for when requested at time of booking. Follow the A4 for Bristol and at the 1st roundabout (by the Globe Inn) take the 2nd exit signposted A39 Wells. At Marksbury carry straight on until you meet the Chelwood roundabout and take the 1st exit signposted Wells / Yeovil. Once in Clutton, look out for The Warwick Arms, take next left into Station Road then 1st right into Church Lane. 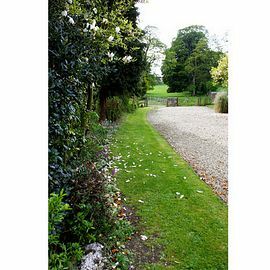 Church Farm is just before the church on the right, take the 2nd entrance which will lead you to the front of the house. Follow the A37 signposted Wells for 10 miles then follow directions as above from Warwick Arms. Follow the A37 through Farrington Gurney. At Temple Cloud turn right just before the Temple Inn. At the T junction turn left and follow lane into Clutton. With Clutton Church on the left take the next left into Church Farm. 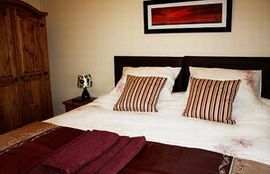 Double and Twin from: £60 per room per night. Beautiful house, great nights sleep and a fantastic breakfast, thanks. What a lovely find, warm welcome, comfy bed. Thank you for all your kindness. A luxury touch to a wonderful weekend.